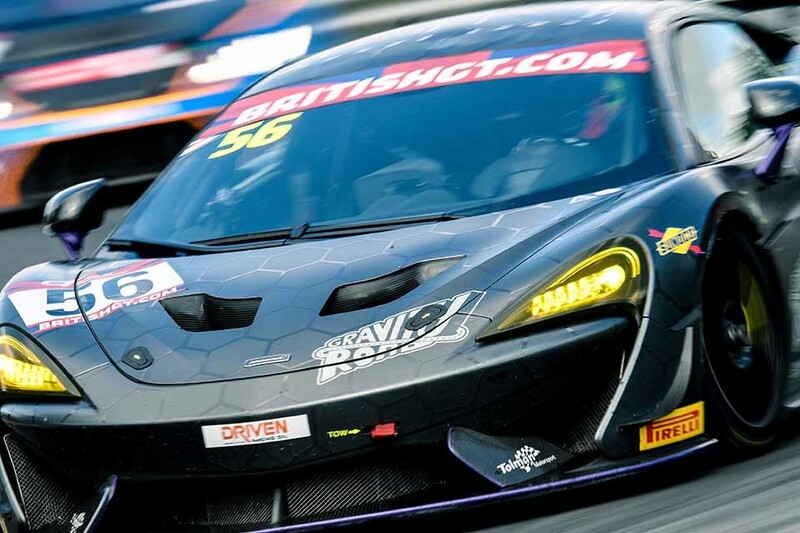 A superb charge to class victory and P2 overall for the #56 McLaren 570S GT4 of David Pattison and Joe Osborne, saw Tolman Motorsport take the lead of the Pro/Am British GT Championship standings at Brands Hatch last weekend. Following the mixed fortunes of the previous round at Spa last month, the Tolman Motorsport crew put themselves under pressure to ensure their set up would be perfect, for the penultimate round of the domestic GT series. This was even more paramount due to the 10-second success penalty, from the podium finish in Belgium, that the car would have to serve during Sunday’s race pit stop. Both practice sessions on Saturday were marred by multiple safety car periods. Nevertheless, the crew managed to utilise the time they had, by simulating some qualifying runs for Pattison. Osborne commented, “David did a mega job in FP2. Despite the rain tainting his quali sim, we knew that his dry pace was good.” The #56 570S finished the second practice run as the fastest McLaren, and also topped the Pro/Am timesheets. Dynamic weather during the qualifying sessions meant that the team had some important calls to make in terms of set up. Considering David had not completed a wet lap around Brands GP before, he did a fantastic job to place 5th in Pro/Am, in very tricky conditions and was a mere two-hundredths of a second away from the 4th position #111 Ginetta of Anna Walewska. 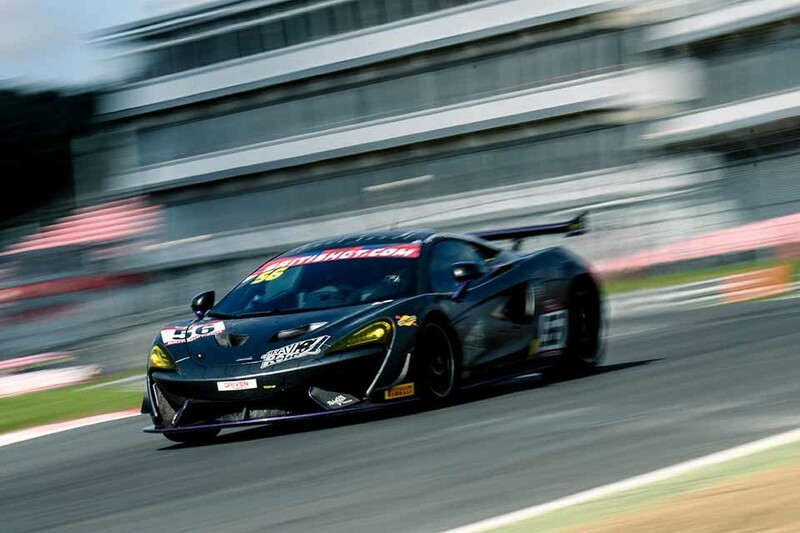 The aggregate time meant that the #56 McLaren placed P1 in Pro/Am and sixth overall on the GT4 grid for Sunday’s two-hour battle, which was the best qualifying result the team had achieved all year. Tolman set about creating a game plan for the penultimate race of the 2017 season, as they knew David would be surrounded on the grid by some very quick silver graded drivers. “We told David not to fight them” commented Osborne, “and that worked out perfectly for us as we didn’t lose much time.” Pattison managed to lead the Pro/Am class for a fair few laps before Adam Balon got by, but even then, David didn’t let the Track-Club Am pull away. Osborne soon picked off HHC’s Tregurtha and track club’s Mackay to sit P4 overall. Whilst the MacMillan Aston and the Garage 59 McLaren battled up front, the #43 Century Ginetta had to serve a stop-go penalty, meaning Joe could rapidly reduce the gap ahead. With just over 10 minutes to go, Joe caught up to the leading pair and pulled a fantastic move on Haggerty in the #100 McLaren at Druids. Now running first in class and P2 overall, Joe set his sights on the overall victory, but after reporting a small brake issue, the team decided to take no risks. 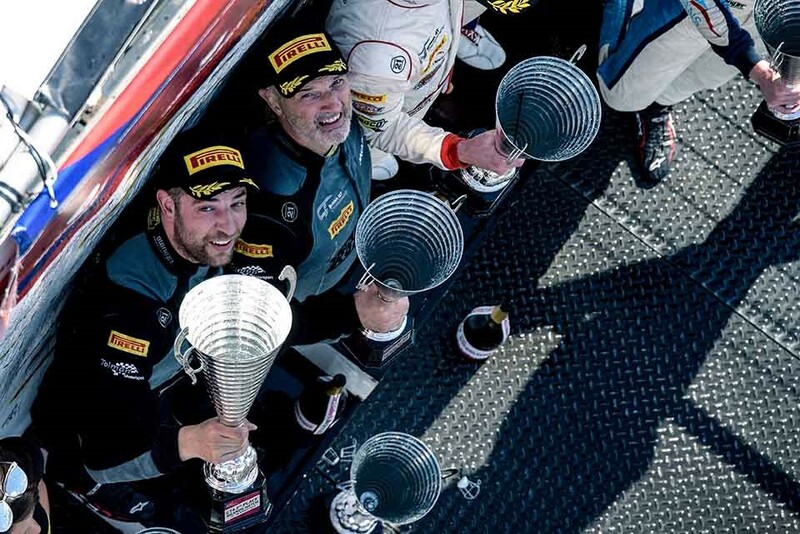 Joe was asked to manage the problem and brought the 570S over the line to claim the third class victory and third overall podium of the year. The team now lead the GT4 Pro/Am Championship by 8.5 points over Optimum Motorsport’s Graham Johnson and Mike Robinson. The Donington decider, championship finale takes place on the 23rd/24th September, and the Tolman team are ready to do all it takes to hold onto that top spot!